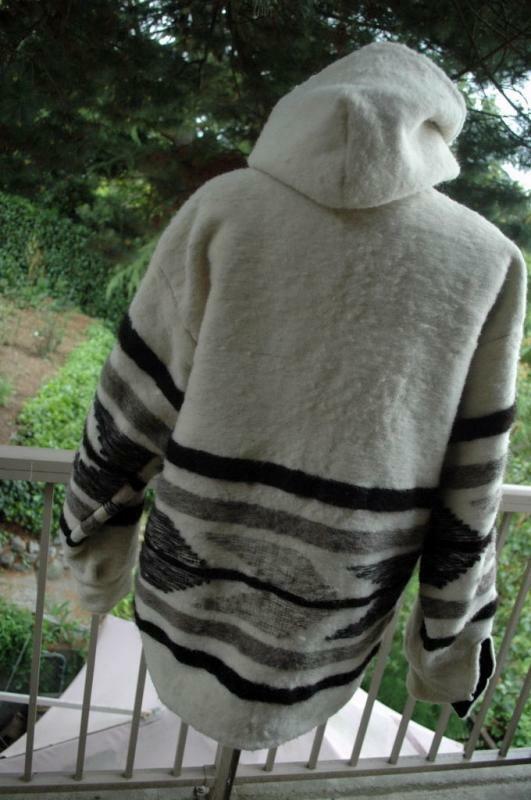 Lovely White, Brown and Black Hooded Parka, Coat, Jacket from the Western Highlands in Momostenagno Guatemala. 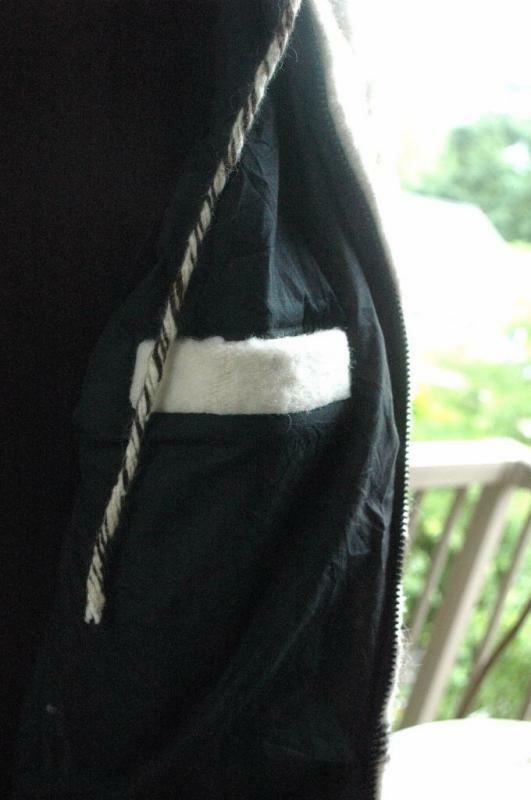 It zips up and has two out pockets and one pocket in the lining that has the white wool as a trim detail. The sleeves have button cuffs. Originally I picked this parka up for my self but the sleeves are too long. 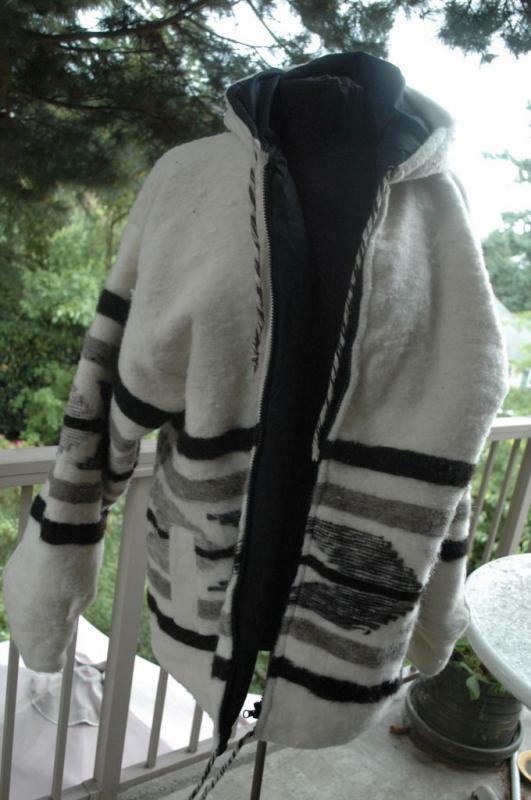 It has never been worn and the condition is excellent. 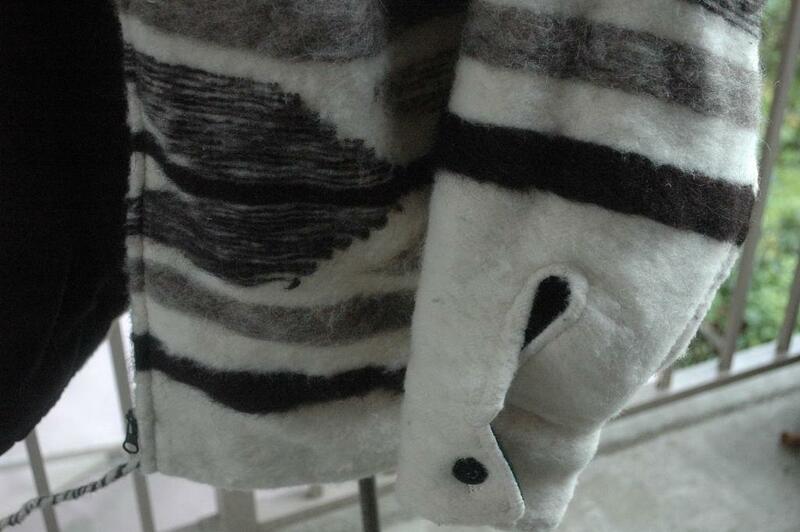 The measurements taken laying flat are: Chest 23", Length from hem to shoulder 29", Sleeves 22". 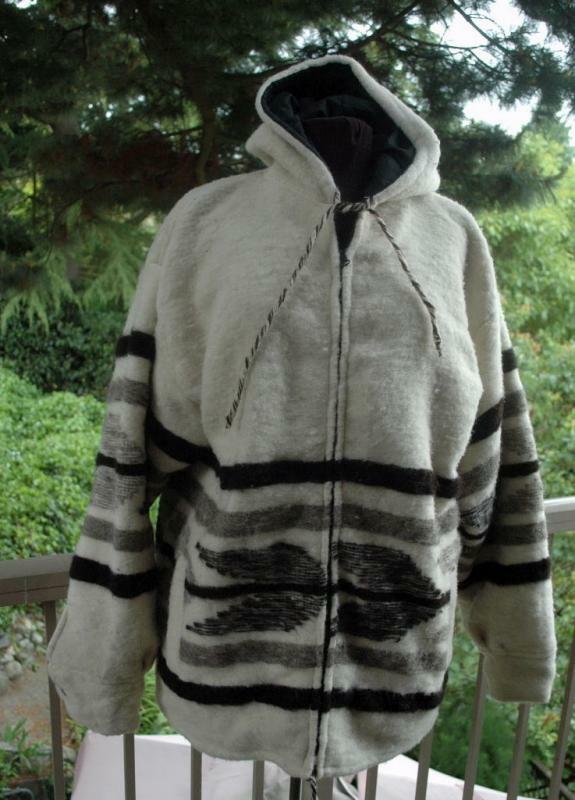 Items Similar To "Guatemala Wool Hooded Parka, Coat Jacket L from Momostenango"